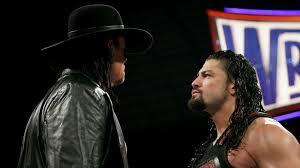 If you are a fan of the wrestling industry than you were one of the millions that saw on April 2,2017 as the Undertaker fought his finalbattle and lost to Roman Reigns. There were a lot of mixed emotions as the Undertaker passed the torch to the young wrestler as cocky as he is. But what many of us as on lookers do not realize is there are many underlying reasons that the Undertaker left during the main event Wrestlemainia 33. The Undertaker has been in the wrestling business now for 30 years. With WrestleMainia 33 under his belt he would be the longest running competitor in the sport to date. Mark Calloway has always had a way to make his matches stand out like no other. For instance, the Hell in the Cell match with Mankind both he and Mankind promised that it was going to be a bloody match and it was. For as long as the Undertaker has been in the wrestling industry he has been using ability to scare not only the audiences but his opponents alike. No matter if he was the Phenom, The Deadman, The Undertaker, Texas Red or The Phantom he has always had a way to use the scare tactic in everything that he has done over the years and that is how he has evolved however now not many really know why he is really leaving the wrestling scene especially now. Due to the several injuries that he has sustained over the years because of the high-risk maneuver’s that he did in the ring such as the “old school” as he walked across the ropes. Or the Tombstone piledriver that so many of his opponents have seen time and time again. But sadly, as all of us know over time as we all do something that we love over time we tend to get old and fall apart and while the Undertaker is in no means falling apart the business itself is taking its toll on him and it is because off moves like the “Spear” and the “F5” That he had to retire and had to have a double hip replacement. And for that the Undertaker should get a standing ovation. You are the Man You will always be the man Rest in Peace and We hope to see you some time. “Not wrestling of course.” Not to mention his wife Michelle and kids would love to have him home for a while as a stay at home dad now. Enjoy your time together as a family!